Dark Souls II had an unfortunate pre-release tease that displayed graphics unlike anything we’d get in the final product. When the fans got their hands on the game, it left many feeling disappointed and lied to. 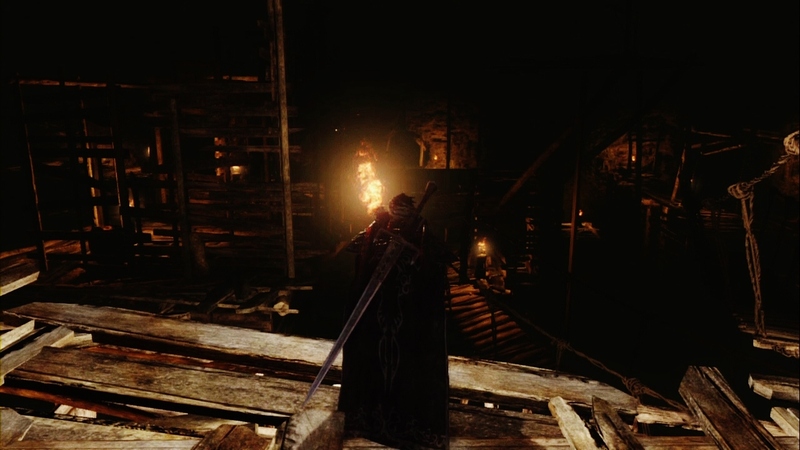 What we expected was the dynamic lighting and an absolutely suffocating darkness that the game’s early looks depicted. What we got instead, was a washed out and dull world that had only remnants of the trailers, and it was very disheartening. 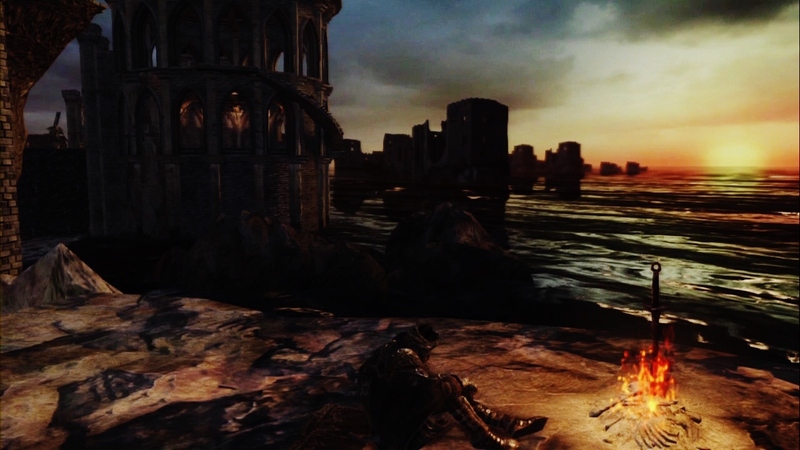 Despite all of this however, Dark Souls II as its own game, has some absolutely gorgeous locales. There are many specific scenes that just captivate and shock me with their beauty or atmosphere. I decided after looking at some of these places, to spawn a series. I will take a game and traverse the world end to end in search of the most beautiful or artistic moments. HD PVR in hand, I capture them for the fans. 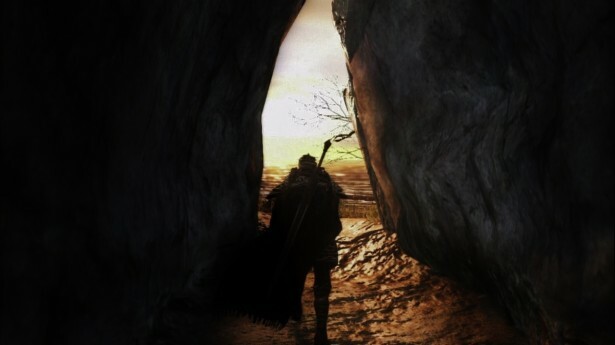 My first target: Dark Souls II. Things Betwixt – The simplistic beauty of this scene, with the intentional light offering a sense of hope in an otherwise dreary world struck me immediately. 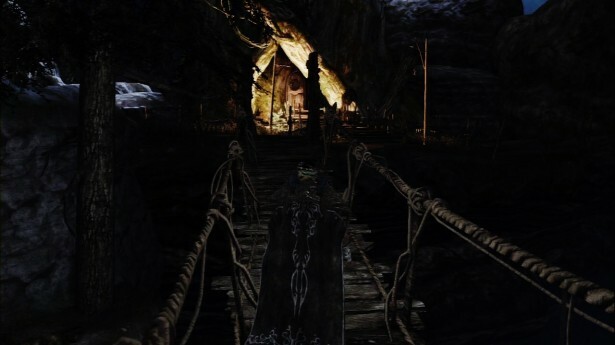 The Path to Majula – I love the way that you traverse a dark cavern, and after nothing but hopelessness, you begin to see a glimmer of light shining through the cracks… What you see next is awe-inspiring. 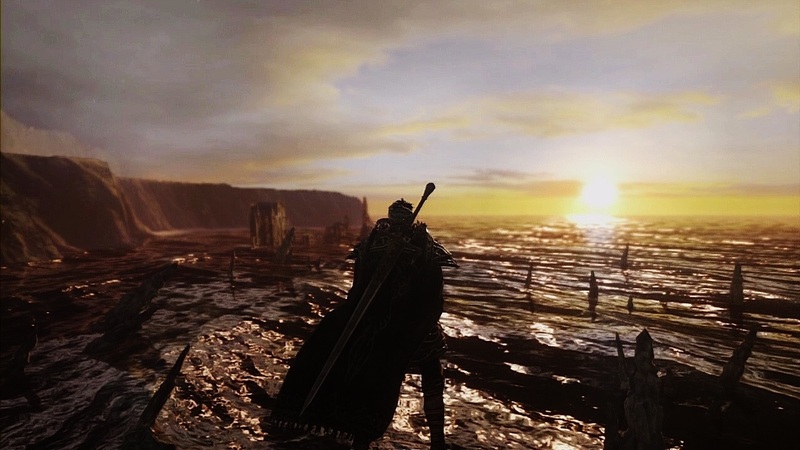 Majula – Majula’s sunset, and the way it glistens on the water is truly one of the warmest, calmest vistas I’ve seen in both the Souls series and games in general. My PS3 does this art no justice. Forest of Fallen Giants – This area is an expansive introductory level, and while it has a massive castle to explore with secrets hidden all around you, this simple resting area contains more beauty and atmosphere than the entirety of the forest and castle combined. I love the way the light hits the bloody statue, and the trees that have seemingly taken back their land from the pillars and stone that make up the room. Heide’s Tower of Flame – Despite my capture card refusing to get a brighter image, Majula’s sunset combined with the blue and red hues of this area offers another calming and gorgeous vista. This time, however, you see the ruins of what was once an ancient, beautiful city. No Man’s Wharf – It proved difficult to get a perfect image of No Man’s Wharf, as its darkness, lighting, and the complex design of the cave caused me to consistently shift to new areas, looking for the best angle. 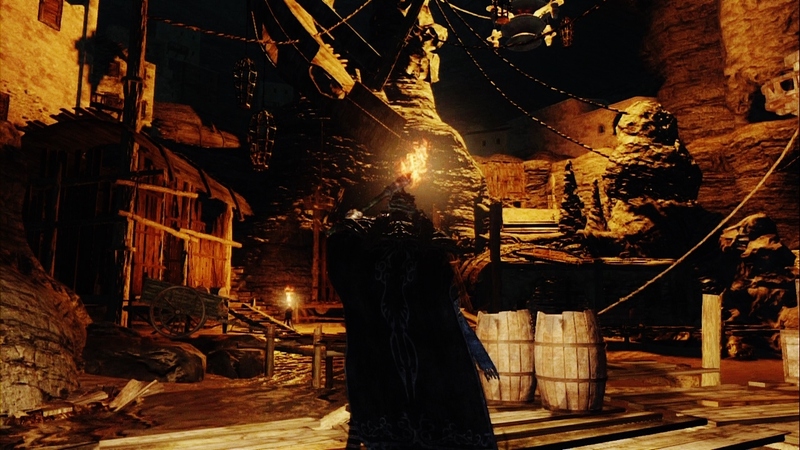 Despite these problems, No Man’s Wharf is always a sight to behold. 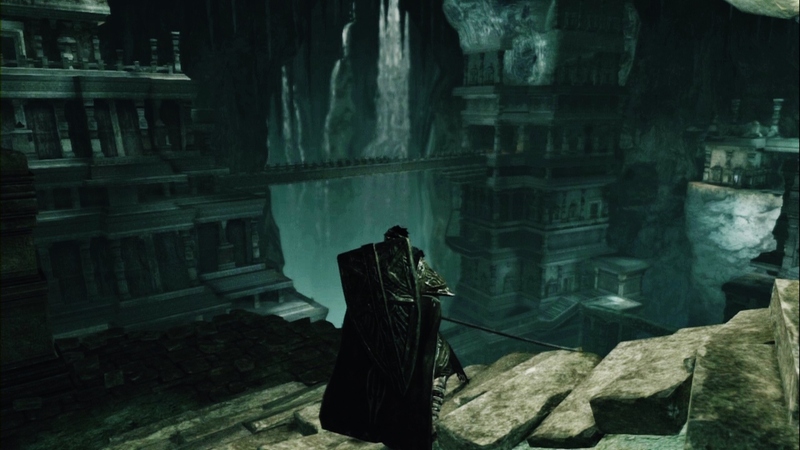 The remnants of great ships hanging from the stalactites, the makeshift houses carved and built into the rock itself, and the rickety boardwalks leading no-where all build this area up into one of the most unique experiences in Dark Souls II. Huntsman’s Copse – It was very difficult to choose which area best represented the Copse as a whole, but I found the answer to this the moment I arrived in the Copse for the first time many months ago. This vista captures everything that makes Huntsman’s Copse a joy – and nightmare – to traverse. Undead Purgatory – This is another prime example of how the layout and overall design of a singular room can prove to be more chilling than an entire labyrinth. I cannot get enough of this area. This room gives off many vibes with its blood-splattered walls, dark hallways, candlelight, and of course, the grotesque creature to the right. 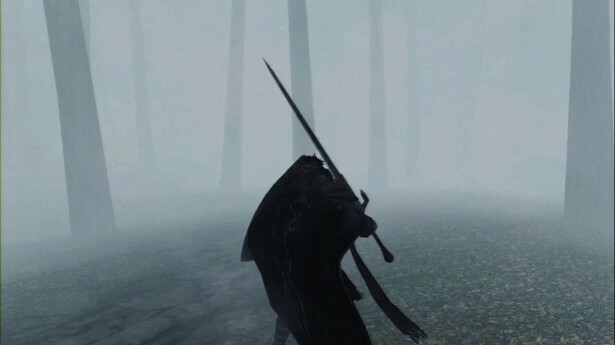 Shaded Woods – This area is one of the most brilliant areas in all of Dark Souls II, and yet it contains nothing but fog and trees. Dark Souls, in essence, is about the darkness itself. They have wanted to make you feel squished and suffocated by the darkness and the world, and the fact that they can do exactly that without a single hint of black in Shaded Woods is commendable. You feel anxious just stepping two feet ahead, especially considering you are constantly surrounded by nearly invisible foes. 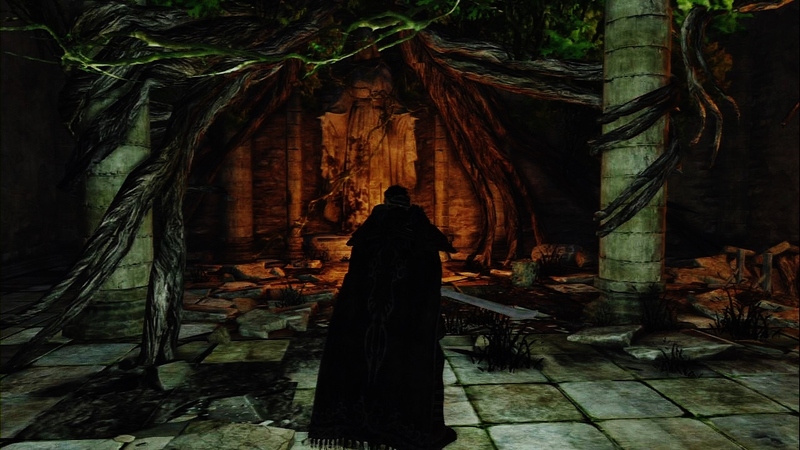 Drangleic Castle – You knew this was coming. 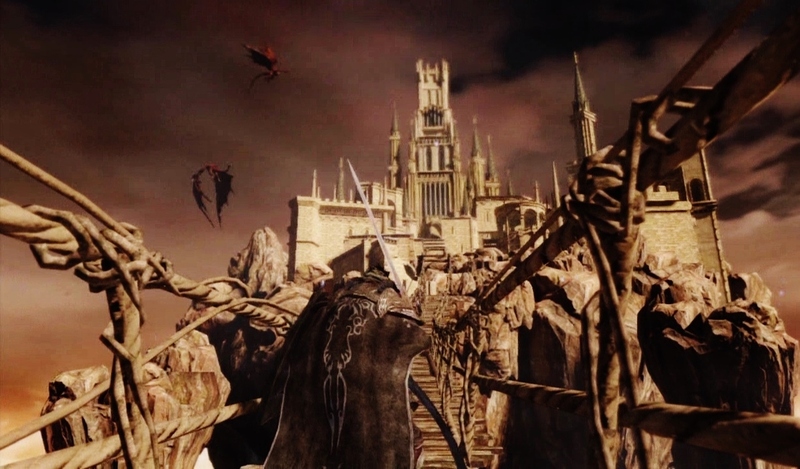 The Souls franchise is famous for its castles, and Drangleic is no exception. It proved impossible to get a shot of the entirety of the sprawling towers and twisting corridors. 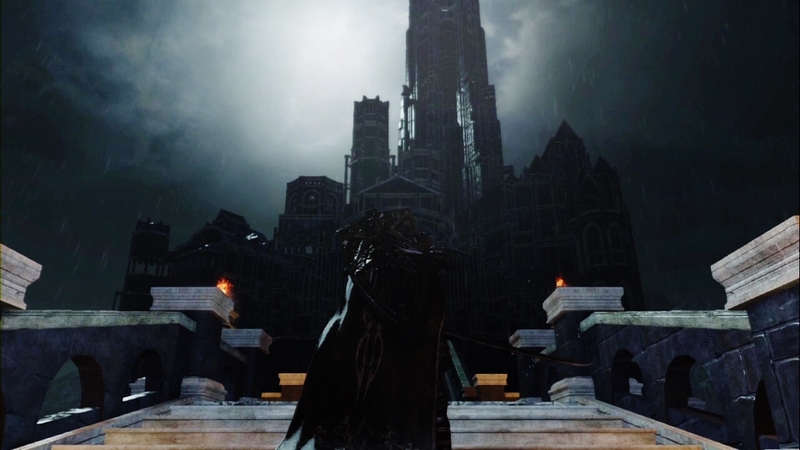 Despite that however, the intimidation this castle gives off while you climb the stairs is a unique experience to say the least. The way the rain reflects on the objects in this area and the constant flickering of lightning helps build atmosphere. The Gutter – This is by far my favourite area in Dark Souls II. The Gutter is brilliant in that it is entirely black and full of creaking, broken walkways made of wood. As you go through, you light torches in the level that not only mark your progress and give you makeshift way-points, but build the level itself. Each torch lights up another piece of this intricately designed city, with the fire illuminating new pathways and traps, and the fact that you are the one doing it makes it an experience that is unforgettable. I dread and anticipate coming here every time. Dragon Aerie – This scene will be recognized by any that watched the initial Dark Souls II footage, as it is literally impossible to look away. Wobbling bridges, dragons gliding through the sky, the castle resting on the peak of one of a nearly endless supply of giant rock columns. These are all examples of what make this area beautiful and memorable. Dragons have never felt more majestic than in this area, and I love every second of it. 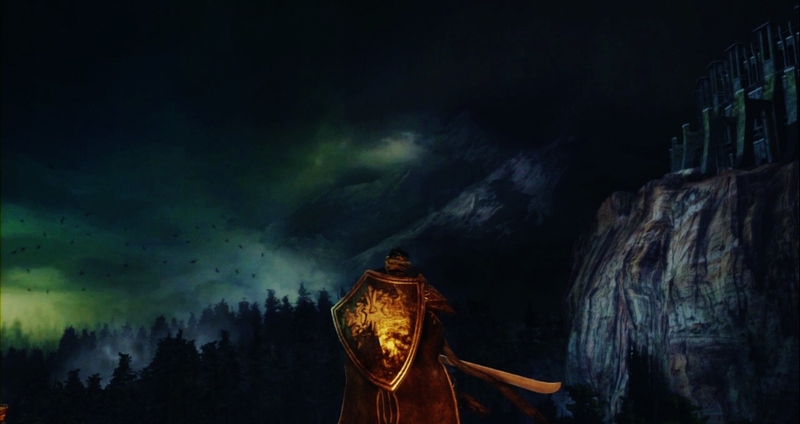 Shulva – This is an extra image, as it is technically not from the base game. That said, Shulva’s creepy vibes and wondrous towers and pyramids cannot go unmentioned. 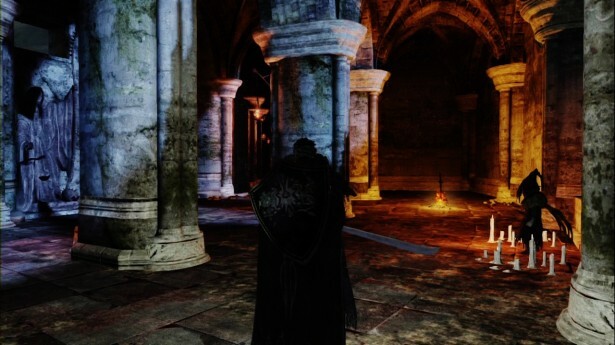 The intricacy of this area is nearly unmatched in all of Dark Souls II, and the emphasis on feeling lost and confused adds to the emotion you feel while traversing the seemingly endless labyrinth.